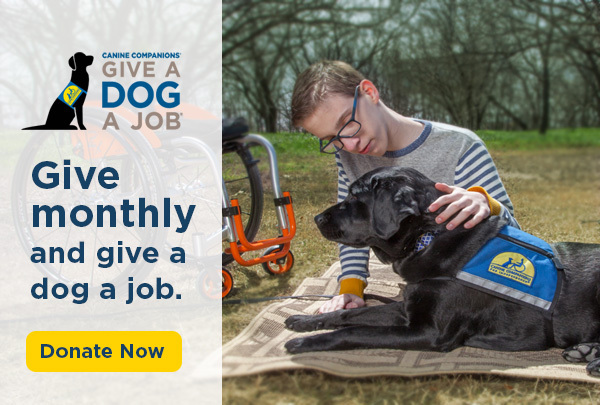 ST. LOUIS (June 28, 2018) – Building on an initial $300,000 donation late last year to Canine Companions for Independence® in honor of the retailer’s 20th Birthday in 2017, Build-A-Bear® today announced a fundraising campaign to help provide even more Canine Companions® service dogs to children with disabilities. For every Promise Pets™ furry friend made in U.S. Build-A-Bear Workshop® stores or at buildabear.com June 28 through August 8, Build-A-Bear will donate $1 (up to $50,000) to Canine Companions to provide assistance dogs to kids as they graduate the organization’s professional training program. Canine Companions assistance dogs are trained by the nonprofit organization to serve as the “ears, hands and legs” of their human partners, with the ability to understand 40 commands and perform tasks such as turning on lights, opening doors and pulling their partner in a wheelchair. The dogs also provide social support as their partners learn to interact with them and utilize all of their capabilities. The assistance dog training program culminates in a graduation ceremony that is held for the dogs and their puppy raisers, and celebrated with the dogs’ soon-to-be human partners. Since 1997, Build-A-Bear has donated more than $8 million in support of pets and animals, focusing on the relationship between children, families and pets. 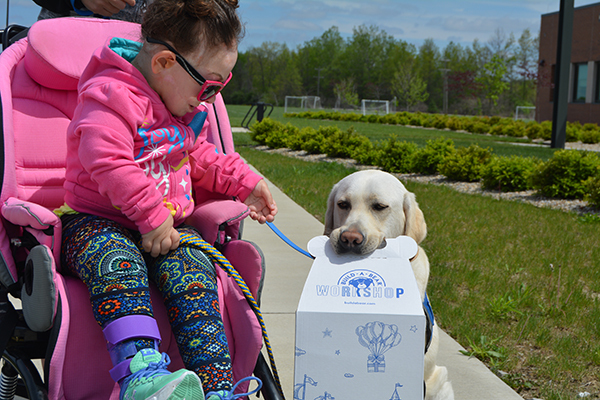 Through both the one-time gift to Canine Companions in 2017 and the 2018 fundraising campaign, Build-A-Bear and Build-A-Bear Foundation™ are helping to provide assistance dogs for 35 children with disabilities in the U.S.
Build-A-Bear is also expanding the fundraising campaign to the U.K. in support of Guide Dogs, a nonprofit organization that aims to empower people who are blind and partially sighted to enjoy the same freedom of movement as others by offering guide dogs and other mobility services. For every Promise Pets furry friend made in U.K. Build-A-Bear Workshop stores and at buildabear.co.uk, Build-A-Bear will donate £1 to Guide Dogs (up to £10,000). For more information about Build-A-Bear Foundation and the company’s charitable giving efforts, visit buildabear.com/giving.